Little did we know that when our loved one joined the military, there would be a possibility that we would become their caregiver. A military caregiver has unique needs and we have resources to help you, the military caregiver. Tens, if not hundreds, of thousands of husbands, wives, children, friends, and family members have become military caregivers since the first American troops entered Afghanistan in 2001. Day after day, these unsung heroes dedicate their lives to caring for others, often with little or no help from others. With that in mind, one of our goals of the Warrior Support Team™ is to ease the burden that these caregivers bear and to raise awareness of what they're doing. If you are or know a military caregiver, please, tell us what we can do to help. It is our honor and privilege to be able to assist those who care for our country's bravest. 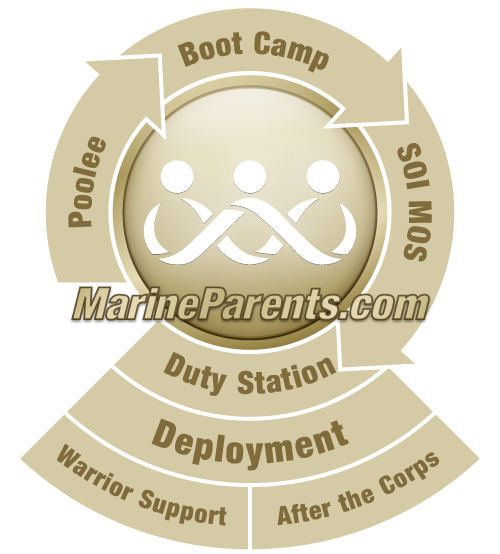 To contact us, send an email to wst@MarineParents.com or click here for further contact information. We have also have a list of resources that may be helpful to care givers.